Leader of the Band | Cover Story | Style Weekly - Richmond, VA local news, arts, and events. With the release of his first album, "Big Inner," Matthew E. White is seeing the culmination of nearly a decade of musical collaboration and innovation. He's long been a leader but never a frontman. 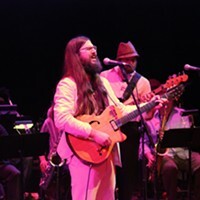 Playing with the raucous little big band Fight the Big Bull, Matthew E. White is the quiet center of the musical storm. He seldom faces the crowd, instead concentrating on the musicians and rarely taking a solo. It never seemed that he was heading for a career as a singer and songwriter. But White, who just turned 30, is leading the biggest potential breakthrough for Richmond's youthful creative renaissance. He did it first as co-founder of the Patchwork Collective, a multifaceted group dedicated to transforming the city from a provincial way station to an artistic hub, then as leader of Fight the Big Bull, and now as a solo musician. No other recording by a local musician in recent memory has received as much national attention as White's new album, "Big Inner." White's debut record is a handmade epic. Starting with its title pun — beginner — it is a brilliantly sequenced collision of human-scale fallibility and huge, confident arrangements. You could call it indie rock, although White draws from soul, gospel and R&B. Brilliantly structured, surprisingly dark, "Big Inner" chases deep questions about love, death and spirituality across an expansive sonic landscape, ultimately embracing a clear, if not always comforting, personal answer. It's a work of art that matters, whatever its commercial fate. And it couldn't have been created anywhere but here, any time but now, or by anyone but White. A lot's riding on its success, not the least for White. The album is a disarmingly personal document, a culmination of nearly a decade at the center of a vibrant local scene he envisioned and helped create. It's also a proving ground for new Richmond label Spacebomb Records. Spacebomb is the somewhat ramshackle attic studio in the house that White shares with drummer Pinson Chanselle on Libbie Avenue. The three-eaved space is crowded with drums, rugs, guitars and recording equipment. "Everything here is broken in some way," White says, smiling while he adjusts the sliders on an ancient mixing board. The phrase has Zen-like resonance. Matthew E. White and his backup band play Balliceaux at the "Big Inner" release party July 24. With long, flowing hair and a full biblical beard, White looks the part of a musical guru. He's open but not extroverted, approachable, unpretentious and completely sincere. He let Style Weekly in for a deep listen of "Big Inner" before its official release Aug. 21. Sitting at his dining room table, next to a bookcase full of records, with his MacBook patched into his component stereo, White provides a stream-of-consciousness commentary on the songs. "'One of These Days' is the first song I wrote," he says. "I always thought of it as the opener." It starts with the core Spacebomb house band, White's vocal and guitar floating over Cameron Ralston's undulating bass and Pinson Chanselle's syncopated beat. The lyrics, interweaving lines from vacation bible school songs, lead to a blithely death-haunted seduction line: "I don't want to live any longer than you / so let's meet the Lord together." Everlasting love is such a pop cliché that mortal love is a dark novelty. Writing lyrics wasn't part of the original plan. White initially envisioned a Brill Building-style stable of Spacebomb songwriters. When the time came to produce a record, and Richmond's Tin Pan Alley still remained a concept, he realized that he'd have to write much of it himself. "I don't think I can write amazing songs," White says. "My ultimate goal is to have the arrangements say things that I wasn't good enough to say lyrically, and to have the lyrics say stuff I am not good enough to say with my arrangements, and with the whole thing maybe I could say something special." There's nothing tentative about his approach. Layering a rueful bridge — "So much beauty and it fades so soon" — over mournful and optimistic horn harmonies is a bracingly unconventional place to start a solo career. In 2005, friends Scott Burton, Chris Elford and a barely bearded White founded the Patchwork Collective, a creative garden where Fight the Big Bull and other groups first took root. When White arrived in Richmond in 2003 at the age of 20, a lot of beauty had bloomed and faded. The well-regarded VCU Jazz Studies Program in which he was enrolling — the alma mater of leading young jazz players including Nate Smith, Steve Wilson and James Genus — was in transition. Its brilliant, demanding founder, Doug Richards, whose uncompromising artistic focus increasingly was at odds with the university's egalitarian degree-awarding goals, had resigned his leadership position two years before. Richards still taught the required jazz arrangement course, and the program roiled with the political aftermath of his nondeparture. While the jazz program meandered, the number of student bands exploded. 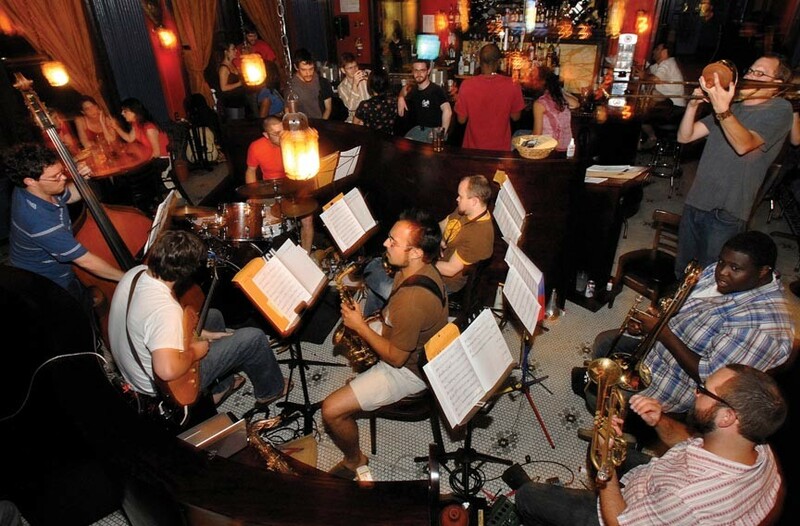 The largest and most popular was the Devil's Workshop Big Band, whose exuberant, standing-room-only, Monday night shows at Bogart's, in what now is Balliceaux, were an echo of and a departure from Richards' influence. But the Workshop soon fell apart. After the group's first record got a four-star review from leading jazz magazine Downbeat, saxophonist Steve Norfleet decamped to New York, taking the Devil's Workshop name with him. Acrimony followed, but was anyone surprised? At that time the next move after Richmond always was North, to the center of the music industry. 2005 was a pivotal year for musicians everywhere. The old music industry was in decline as the barriers to entry dropped — anyone could produce and manufacture a CD with a home computer — and profits hemorrhaged through free file sharing. The local scene was crackling with youthful groups such as D.J. Williams, Bungalo 6, the Oregon Hill Funk All-Stars and Modern Groove Syndicate. Like his classmate Trinh, White realized that the best way to be part of a scene was to start one. With his high-school friend Chris Elford and guitarist Scott Burton, he embraced the wildly ambitious goal of transforming Richmond from a tour stop to an artistic hub. With no idea exactly how they were going to do this, they launched the Patchwork Collective. The second song on "Big Inner," "Big Love," almost was cut from the record despite its propulsive rock attack and appealing pop hook. "It was the least prepped," White says. "It didn't have a horn arrangement and I just read the lyrics off Google Docs in the recording booth." Like many of the songs on the CD, "Big Love" was co-written by lyricist Andy Jenkins, who at the time was in Japan. White says the collaboration was so close that it's often impossible to tell who's responsible for what. In general, Jenkins provides the poetic wordplay, White the emotional ballast. At one point the rhythm section drops out. Call-and-response vocals soar over a vertiginous arrangement of airy strings and jaggedly percussive piano, congas and sax. "This whole section was orchestrated in the mix," White says, faded out with the mixing board slider, and faded back in at the end. "This whole song was kind of Frankensteined together." Fight the Big Bull plays Cous Cous in 2007. 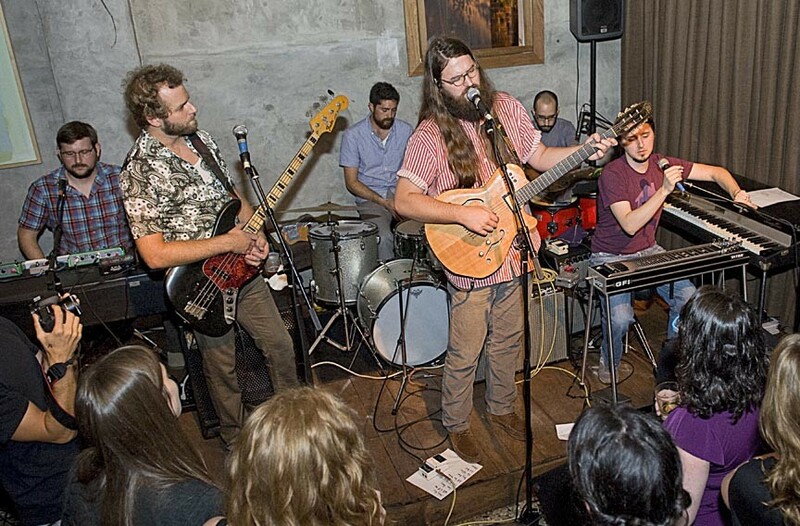 The raucous nine-member band caught the attention of more established artists, leading to collaborations with folk trio Megafaun and singer David Karsten Daniels. The organizing principle of the Patchwork Collective was to assemble the fractured subcultures across a range of creative arts — improvised music, painting, comic books, electronica, dance — to find one common audience. According to guitarist Burton, White's friend Elford was the key ingredient. "He knew all the scenes really well," Burton says. "It was because of him that we came up with the idea of cross-pollinating genres." Their early shows were wild mash-ups. Picture a turntable duet with a horn player and computer-projected images in front of a young crowd at venues such as Gallery5 and ADA Gallery. A case or two of Pabst Blue Ribbon usually sat under a table filled with do-it-yourself merchandise in the back. Drummer Brian Jones, whose band Agents of Good Roots had brushed the big-time music scene in the '90s, was a frequent participant. Jones was one of the reasons White came to Richmond, and one of the first people he reached out to with the Patchwork concept. "I had just had a kid," Jones recalls. "I told him I would help, but that he would have to do the work." The collective started making contacts and bringing in cutting-edge musicians who were otherwise unlikely to appear in Richmond, including drummer and composer John Hollenbeck and saxophonists Ken Vandermark, Tim Berne and Tony Malaby. Meanwhile a Richmond sound was emerging: a blend of edgy jazz textures and rock 'n' roll energy. 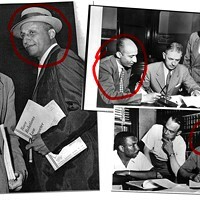 White's Patchwork band, Fight the Bull, with trombonist Bryan Hooten and drummer Pinson Chanselle (like Burton, a veteran of Samson Trinh's Upper East Side Big Band) soon mutated into the far larger Fight the Big Bull. Burton formed the B-movie-celebrating Glows in the Dark. Reggie Pace, a member of both groups, created No BS Brass Band with drummer and engineer Lance Koehler, whose Oregon Hill Minimum Wage Studio was the recording site for all the Patchwork projects. There were early plans for a Patchwork Collective label, but as the initiative began to succeed, the momentum carried the founders in divergent directions. The third song on the record, "Will You Love Me," takes big structural chances. The emotional perspective shifts repeatedly while the narrator stays the same. It's a technique as venerable as the Shakespearean soliloquy, and accurately captures the turmoil of romantic desire, but few pop songs so overtly embrace ambiguity. The song also takes a risk with the chorus, an almost complete appropriation of the chorus of Jimmy Cliff's 1970s hit "Many Rivers to Cross." White is open about it. "It's a little hook everybody knows," he says, and they're paying to use it. The "Many Rivers" chorus is one of many samples, large and small, on the record. The Jimmy Cliff quote ends with a line from a gospel song. The bridge — "Darkness can't drive out darkness" — is adapted from a Martin Luther King speech. The song suggests that the language for making sense of conflicting emotions is assembled from snippets of popular culture, like cutout letters in a ransom note. The arrangement sweeps all the song's contradictions up into a big, Beatles-tinged "All You Need Is Love" climax. The song ends as it began, with a quiet promise mirroring and resolving the opening plea. With so many opposable parts it probably shouldn't work. But it does. 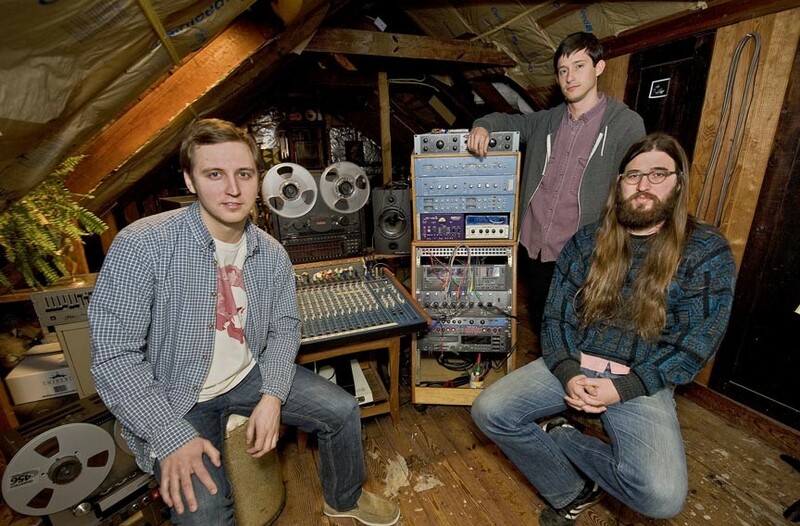 Spacebomb Records founders Dean Christesen, Jesse Medaries and Matthew E. White (in 2011) started the label in this attic studio. A project as gleefully eclectic as the Patchwork Collective couldn't persist forever. It's difficult to say exactly when the Collective era ended. By the time John Hollenbeck's about-to-break-big Claudia Quintet played the Rumors storefront in 2007, it was more a Scott Burton-Glows in the Dark affair than a Collective gig. Fight the Big Bull began a long-running, every-other-Wednesday gig at Cous Cous. Its first EP, "Dying Will Be Easy" (Clean Feed) made several "Best of the Year" lists. In 2009 the great slide trumpeter Steven Bernstein, whom White had befriended as an underclassman, came to Richmond for nearly two weeks for several memorable performances and to participate in the follow-up, "All Is Gladness in the Kingdom" (Clean Feed). The band, and others from the Patchwork scene, began to tour. 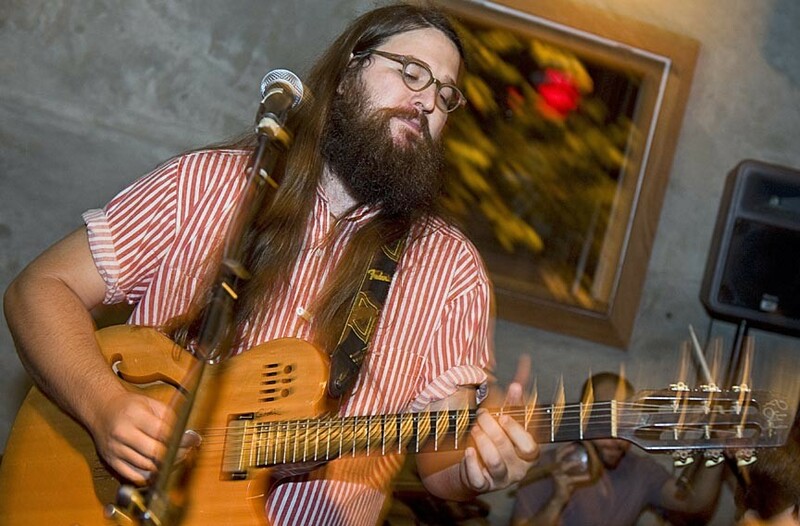 In North Carolina, on tour with the Great White Jenkins (a band White co-led with singer and songwriter Andy Jenkins), White connected with intense singer David Karsten Daniels and ex-Justin Vernon bandmates Megafaun. Two major projects resulted. White wrote arrangements for Daniels' album of David Thoreau texts, "I Mean to Live Here Still" (Fat Cat). 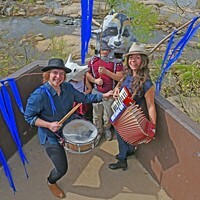 And the members of folk trio Megafaun commissioned White to provide new musical settings for a 2010 Duke University performance based on Alan Lomax's "Sound of the South" boxed set of folk and gospel field recordings. The six-show event was headlined by Megafaun, Fight the Big Bull, and a musician on the cusp of worldwide acclaim, Bon Iver's Justin Vernon. That summer White went on an extended, solo trip to the Deep South. He had lunch with one of the Neville Brothers in New Orleans. In the Mississippi Delta, he met the owners of blues-centric Fat Possum Records. It was a revelation, White says: "a bunch of kids, no smarter than me, running a successful record label in a secondary market." When he returned, he founded Spacebomb Records with Dean Christesen, Jesse Medaries and Matt Rawls. "Gone Away" is the dark, broken heart of the record. White wrote it the night his 4-year-old cousin, Makiah King, was killed when her parents' car was T-boned by a Chevy Suburban driven by an unlicensed 16-year-old. The music is inspired by Ray Charles' "Modern Sounds in Country and Western Music," the verse adapted from a Washington Phillips gospel lyric. The chorus alternates between the passive "gone away" and the more aggressive "taken away" and "stolen away" before arriving at the startlingly accepting "given away." White's heard three perspectives on the song, he says: that God screwed up, that Satan caused it, or that it's just part of God's unseen master plan. The three come together in the repeated bridge and coda: "He will tear your kingdom down." White calls the sad yet optimistic brass floating over the end of the piece his favorite horn arrangement. Existentially raw and spiritually complex, the song lifts the project into a higher level. 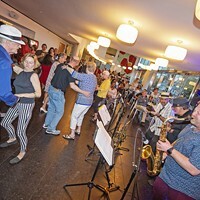 The heaviness lifts with the following "Steady Pace," a danceable soul number enlivened by Jackson 5 horns and powered by the Ralston and Chanselle rhythm section. "The best thing I can do with Spacebomb is get people with better ideas than I have into the room and let them do their thing," White says. Andy Jenkins wrote the "colorful, funny little" lyrics to the next song, "Hot Toddies." 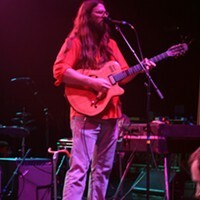 The rich, harmonically dense quartet arrangements were written by multitalented guitarist Trey Pollard, whose Songwire Studio became part of the Spacebomb family during the course of the project. The string quartet idea reflects the interest in using the record as a sonic resume for the label. "I thought it was a great way, from a Spacebomb perspective, to show the kind of skill we have," White says. An extended coda at the end is a shout-out to jazz past. "A groove with a static bass line, out-of-time melodies and a solo on top," White says. "If you listened to Fight the Big Bull live, you could find a lot of moments that are basically that." 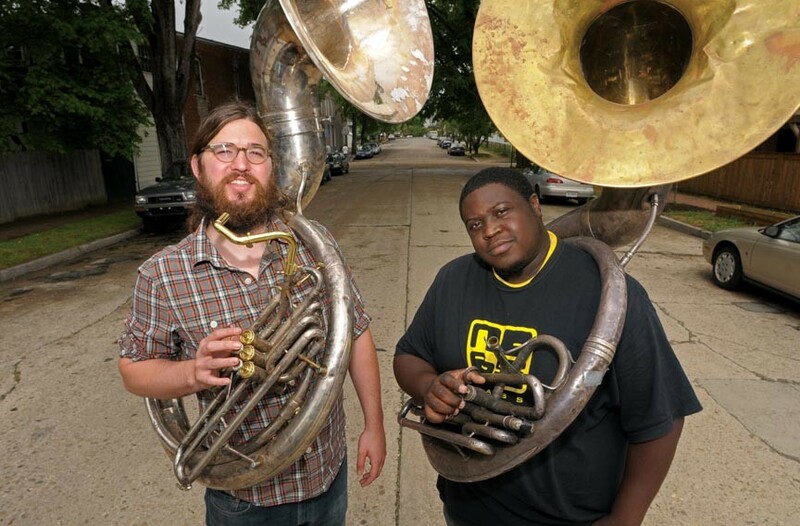 On a lark, Fight the Big Bull bandmates Matthew E. White and Reggie Pace, founder of No BS Brass Band, started a marching band in 2009. City officials promptly ejected them from Chimborazo Park because they lacked the proper permit. The Duke University "Sounds of the South" concerts, with rising stars such as Vernon (Bon Iver), Sharon Van Etten and Megafaun, backed by White's Fight the Big Bull arrangements, were a major success. A follow-up tour and live CD at first seemed inevitable. But it remains delayed, mostly because of wrangling among the stakeholders. "Bon Iver" (Jagjaguwar) became a runaway hit, and Vernon began a series of world tours taking along Richmond trombonist Pace, with whom he'd dueted at the Duke concert. Spacebomb Records had planned its big-label launch to capitalize on the "Sounds of the South" national release. With the delay, the focus shifted to White's solo album, which was recorded in a hectic week, concurrently with an album for eclectic indie-folk rocker Karl Blau. The recording sessions overlapped, with a cross-section of local musicians coming to Koehler's Minimum Wage studios to lay down White's horn charts, Pollard's string compositions and the choral arrangements of Megafaun's Phil Cook, who was was in town and played keyboards on both projects. 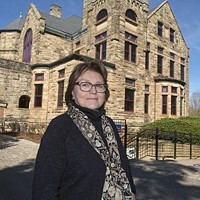 Cook was so happy with the results that he called Sara Padgett Heathcott, one of the top people at his Portland, Ore.-based label, Hometapes. Heathcott knew White; he'd called her for advice about starting Spacebomb. "I got a rough mix," Heathcott says. "And it affected me more than any other record I have ever worked on." She and her label were smitten by the record. Spacebomb Records had landed an enthusiastic partner with proven operational experience and public-relations muscle. The closing "Brazos" is the album's most complex and only third-person narrative song. It was inspired by a phrase in Alan Lomax's "The Land Where the Blues Began": "Old Riley, escaping prison across the Brazos, walked the water like Jesus." The lyric follows an escaping slave couple, revisiting the cruel disconnects between faith and fate explored in "Gone Away." ("They gave slaves the gospel, but they're still slaves," White says. "How fucked up is that?") With the fate of the escapees in the balance, the song builds to an atonal crash. Rather than ending the song — as the Beatles did with a similar crash in "Sergeant Pepper" — the music continues into a heavenly realm. White chants "Jesus Christ is our Lord / Jesus Christ he is your friend" over a joyous band for five minutes over a wild Stevie Wonder ride out. The clear proclamation of faith (with perhaps a slight lingering tension between the words "Lord" and "friend") was a choice that seemed to White both brave and fresh. He's the son of fundamentalist Christian missionaries, and a memorable part of his childhood was spent on the mission fields of the Philippines. His lyrics — especially in "Brazos" and "Gone Away" — confront the difficulty of reconciling a personal relationship with Jesus and a world that provides cruel counterarguments to an engaged and loving deity. "This world, this industry, is a hyper-liberal environment, which is totally fine. But I think there is a tendency to shy away from things that have conservative tags," White says. "This person [Jesus] is very important to me. I wanted to be clear, very clear that I am comfortable talking about it." The quiet frontman is stepping out at last. Undaunted by the building buzz around "Big Inner," White's touring with the Mountain Goats this fall to promote his debut album. While the record won't be released until Aug. 21, there's big buzz on "Big Inner." Influential online blogs have taken notice. Pitchfork pinpointed the style of "One of These Days" with its trademark word-drunk precision: "Pulling giants like Allen Toussaint, Dr. John and Colin Blunstone into a rarified space somewhere between Lambchop and Spiritualized." "Awe-inspiring," trumpeter Steven Bernstein says. "I can only see him as the kid who came to me years ago. Now he's an important guy at the epicenter of the bearded generation." Realizing one of the Patchwork Collective's founding goals, the record is the first big export from the Richmond scene. For the key players, and the larger group of players who contributed to the record's huge sound, it could be a career-making event. "Spacebomb has a lot riding on ['Big Inner']," Pollard says. "We never intended to release it on this level. The good thing is that it is better than we imagined." White is typically philosophical. "There are no guarantees," he says. "People are excited about it. Hometapes is putting a lot of energy, money into it. We are getting a fair amount of press up front. But a record being good has nothing to do with its being successful." He recalls being at South by Southwest, the annual Austin, Texas, music-industry gathering. "People kept coming with records and telling me they were 'the most amazing records ever,'" he says. "I would think to myself, really? Is it as good as [Stevie Wonder's] 'Innervisions?' Is it as good as [Marvin Gaye's] 'What's Going On?' If not, let's talk about it in real terms." The commercial test of "Big Inner" starts with the album's release, when White goes on tour supporting the Mountain Goats. The Spacebomb Horns — Bryan Hooten, Jason Scott and Bob Miller — will play the arrangements that White wrote for the Goats' latest, "Transcendental Youth" (Merge). The job of downsizing the vast, multilayered sound of "Big Inner" falls to White's backing band. 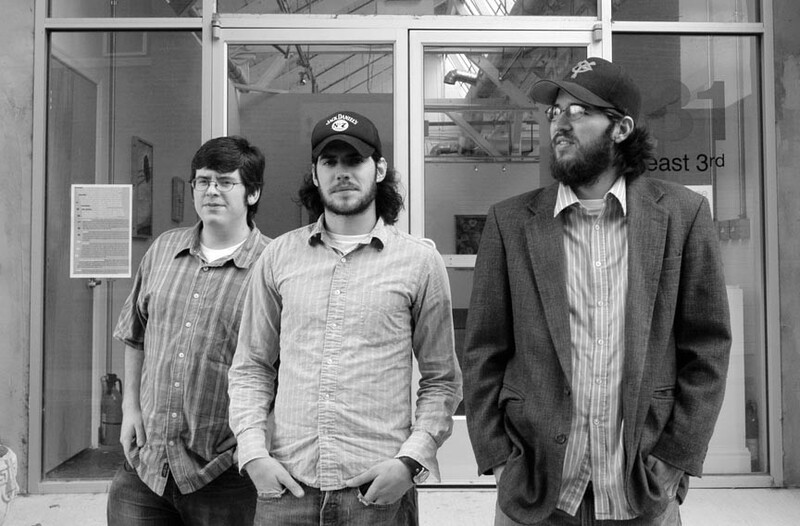 The group features Spacebomb rhythm section Ralston and Chanselle with Pollard on pedal steel guitar, Gabe Churray on keyboards and Scott Clark on percussion. They did a fine job at their maiden performance at Balliceaux on July 24, but the subtler moments were drowned in a sea of Pabst-addled socializing. 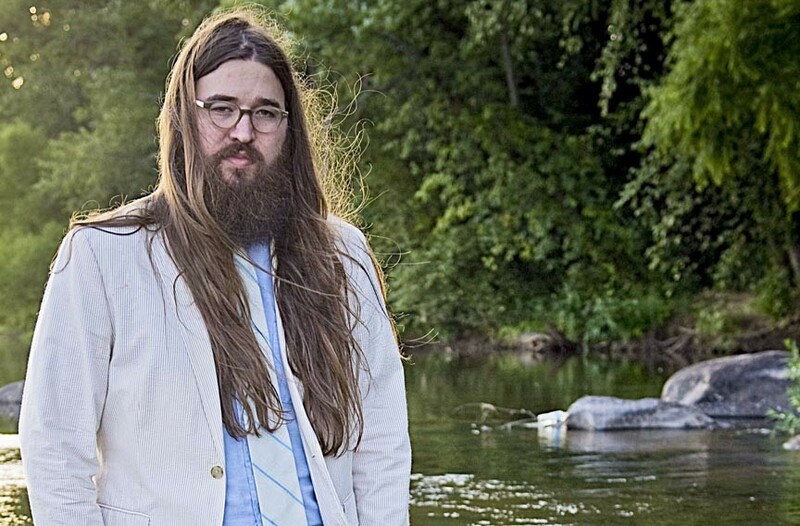 Matthew E. White opens for the Mountain Goats on Tuesday, Oct. 9, at the National. $15. For information, call 612-1900 or go to thenationalva.com. Correction: An earlier version of this story misspelled Jesse Medaries' name. White was 20, not 19, when he arrived at VCU. Also, the title of the final track on "Big Inner" is "Brazos," and the Mountain Goats' label for "Transcendental Youth" is Merge.